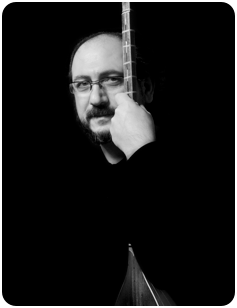 Tinoush is a graduate of Goldsmiths College, Tehran University and Tehran conservatoire. 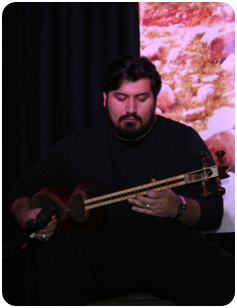 He has been teaching Tar and Setar for many years and performed with some of the best known Iranian musicians such as Hosein Alizadeh and Parviz Meshkatian. 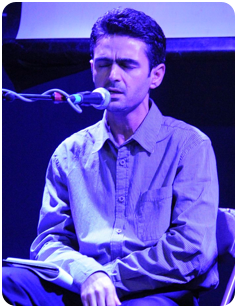 Arash started playing Tar in Iran and after moving to the UK he has been blended his experiences with British folk music. He is a member of the Manchester International Orchestra and he has also performed with BBC Symphony Orchestra. Sepideh started studying Persian classical music at the age of nine with the famous Iranian singer Parissa, then continuing to perfect her knowledge with renowned masters, Parviz Meshkatian and Mohammad Reza Lotfi. In 2009, she graduated in musicology at the University of Bologna, Italy. Invited by prestigious institutions including the UNESCO, the Vatican, and international media such as BBC and RAI, she has had numerous performances in Europe, notably with great Italian musicians, Franco Battiato and Andrea Parodi. 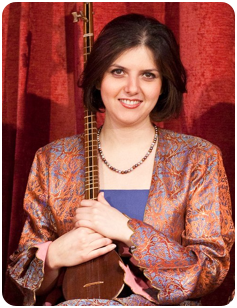 Sepideh is currently continuing her academic research in Ethnomusicology at the University of Toronto, focusing on Sassanid music. 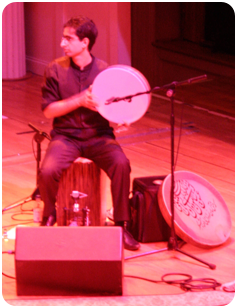 Ali Started to play Daf and Tonbak from an early age and dabbled in other percussion instruments. He has been teaching Daf and performing with famous musicians such as Hassan Nahid and Davod Azad as well as BBC Symphony Orchestra. Bahram is a well recognized master of Persian classical repetires, he completed Persian repetoire under the supervision of Nasrollah Nassehpour. 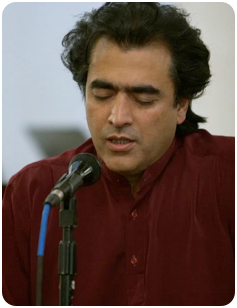 He has extensive credits performing and also recording albums with great Iranian master musicians such as Jalil Shahnaz, Faramarz Payvar and Ali Asghar Bahari. Erfan has an extensive knowledge of Kordish music. He plays Setar and Tanbour as well as singing and had the privilege of working with Ali Akbar Moradi the great Kordish Tanbour player.